Yesterday and today have been very misty. I laughed at a newsreader who called it a “real pea-souper”. As someone who experienced the impenetrable fogs in England caused by coal smoke pollution in the mid 20th century I can tell you this bears no resemblance whatsoever to a “pea-souper”. We used to walk to school with scarves over our noses and mouths and when we arrived the places where we had breathed in would be black with the pollution particles! 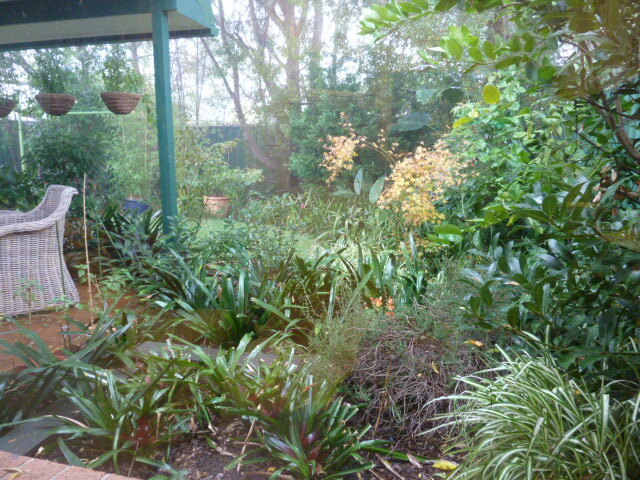 Here’s a look at an autumn misty morning in my Sydney garden. So lovely and green! 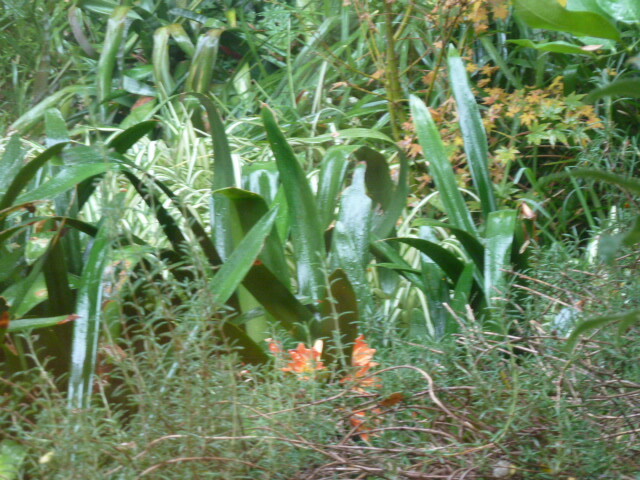 I see a spider plant peeking out from the back in the bottom photo. I haven’t had one of those in a long time. 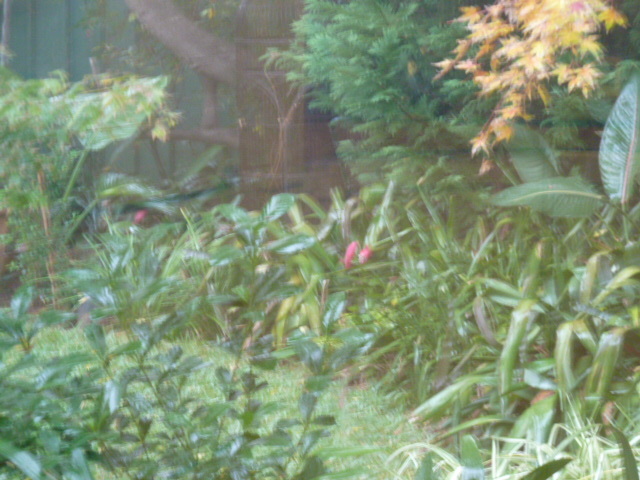 I have a small patio where I could have some potted plants, but I’m just not able to get around enough to do it. I knew London had fog, but I didn’t know it was as poisonous as that! You must really love Australia’s air after all that pollution. When I was a girl here in San Diego, we had very little pollution. Occasionally, some would waft down from LA, but otherwise clear and blue. It’s not that way any more, but I think we’re still better than LA, and possibly Chicago and New York. This has been a real treat today, with 3 posts! Thanks Linda. The fogs in England aren’t so bad any more as they brought in legislation called The Clean Air Act. Once that was implemented they started cleaning the exteriors of all the public buildings in Manchester. I had always thought they were made of black stone but no! They were a gorgeous honey coloured sandstone underneath all the grime. Wow, that must have been very “enlightening”….lol. Sorry, couldn’t help myself.